Today, Labatt will ask post-secondary students to Take the Pledge against drinking and driving as part of the company's Be(er) Responsible Day. With the back-to-school season in full swing, the Take the Pledgecampaign reinforces Labatt's responsible use message with young adults as they return to universities and colleges across the country. Teams of employees will visit university and college campuses to encourage students of legal drinking age to Take the Pledge in real time via iPads at Facebook.com/labattdrawtheline. 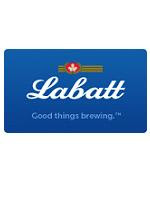 "With Labatt's Take the Pledge campaign we are helping set the tone for responsible drinking on campuses right at the beginning of the school year," said Charlie Angelakos, Vice President, Corporate Affairs, Labatt. "We've already enlisted the support of a number of leading politicians, athletes and other well-know Canadians to Take the Pledge. Getting students to make that same commitment engages this important community of young adults." Pledges can also be made on Facebook.com/labattdrawtheline. For each pledge made, Labatt will donate $1 to the True Patriot Love Foundation, in support of Canadian Military Families. Be(er) Responsible Day and all Labatt's responsible use programs are part of the dream by Labatt and its sister Anheuser Busch InBev companies to be the Best Beer Company in a Better World. Employees in more than 20 markets around the world will connect with customers and consumers to promote responsible enjoyment of AB InBev products and reinforce the company's commitment to moderation. In 2010, Labatt took the "don't drink and drive" message to the streets by visiting thousands of customers across the country and spreading the word.